I once read that the scent is the strongest memory that we human beings have. Even popular French fashion designer Coco Chanel agrees and once said that a woman's perfume is an unforgettable ultimate accessory. That being said, people may actually forget how you look but will always remember you for your scent. I love to stay fresh and smell good throughout the day. I don't want to smell awful in public so I try to use various perfumes and body spray to prevent this. I make sure to always have it in my bag so that I can spritz anytime whenever and wherever I feel the need to. But you know, sometimes you can't help but smell like sweat especially if you've been in the outdoors for so long. If you live in a tropical country like me, extreme sweating is unavoidable. If you're a perfume fan like me, you probably have always wondered what the differences between body mist and perfume are, right? Body mist has a much lighter scent than perfumes. It's meant to be just as it is supposed to be--not something heavy that weighs you down, instead it's meant to be light and airy. 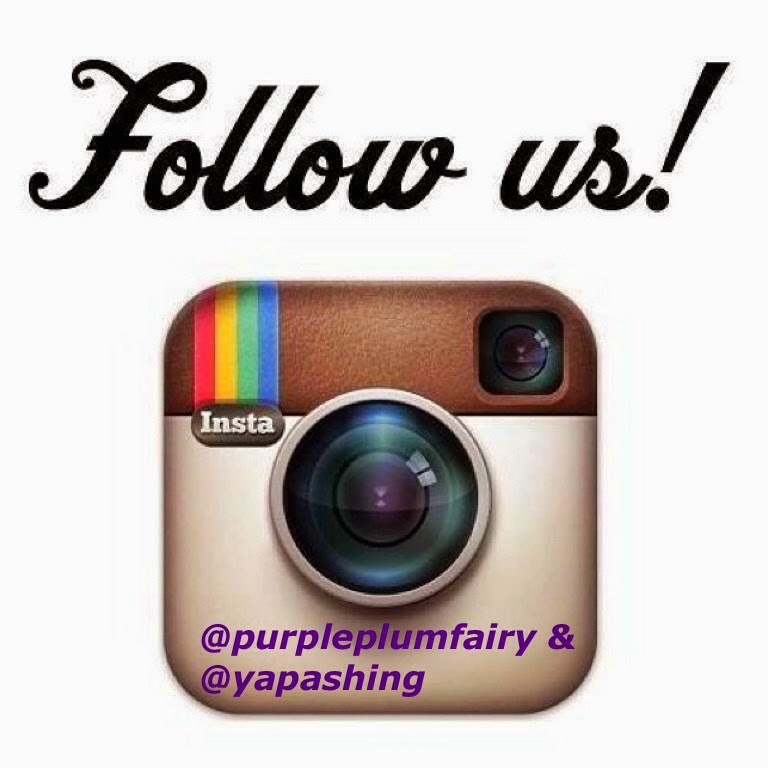 Body mist is not concentrated at all so it just sticks to your skin for a little while but needs reapplying later on. 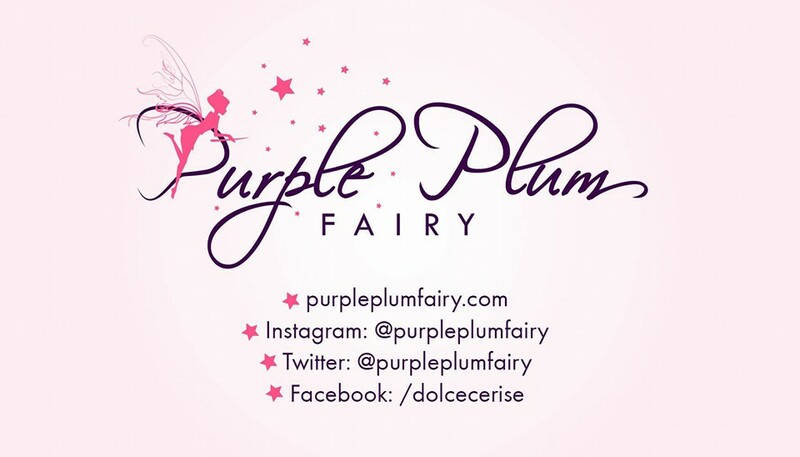 I have been lucky enough to be given another exciting product to review from Althea Korea. Known as an online shop that sells authentic Korean beauty and skin products, Althea Korea is the best site if you're looking for legit Kbeauty products. 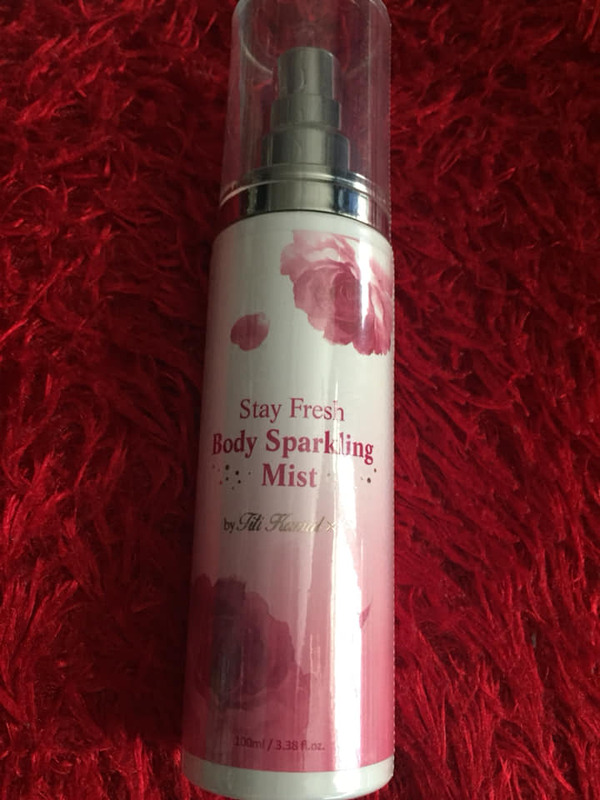 Anyway, the product that was sent for me to review is called Stay Fresh Body Sparkling Mist, a collaboration between Althea Korea and top Indonesian singer and celebrity Titi Kamal. Titi Kamal rose to fame after bagging the role in Ada Apa Dengan Cinta (What's Up with Love? ), considered one of Indonesia's best films in the 2000s. It was the first time for Althea Korea to produce a body mist. A bottle of elegant sweetness, Althea Stay Fresh Body Sparkling Mist is made up of orange, peach and rose scents as it base. I love the fact that it is skin-friendly. Unlike other body mists I've had used before, this one didn't give a sting nor it can cause skin irritation. The fragrance is very nice and smells fresh, exactly just the way I like it. Althea Stay Fresh Body Sparkling Mist's bottle is designed very well. It's helpful for we can carry it in our bags very easily. The spray is also so convenient and easy to use. I also love the fact that the fragrance is suitable for all kinds of people. Althea Stay Fresh Body Sparkling Mist lingers on my body well although I highly recommend that you also spray this on your clothes for more lasting scent. Wrists aren't always the best spot for fragrance to lasts long as metal jewelry can often alter the smell of a fragrance. It's better for you to spray on top of your arms or elbows corner, roll down your sleeves and wear it all day. That will allow the fragrance to come out through the day. I'm really happy with the results of this product. I'm really satisfied. I went out with my friends while wearing the said body mist and a friend complimented me on the fragrance I used. You will certainly fall in love with Althea Stay Fresh Body Sparkling Mist. Lavishly splash or lightly spritz Althea Stay Fresh Body Sparkling Mist, either way you'll fall in love with this mist! They carefully crafted not just the bottle and sophisticated pump delivers coverage while the mist alone nourishes skin for the lightest, most refreshing way to fragrance! A petal-perfect blend of rose, oranges and peach. It has Damask rose water which effectively keeps the skin hydrated as it also gives a gentle fragrance. It also includes orange flower extract that refreshes the senses and elder flower extract the cools and soothes the skin. The pretty decent spray dispenser to apply the mist gives an even application and quickly covers most of the areas of the body in which you apply the mist into. As it comes in a plastic bottle, it can be easily carried around. I have always loved using body mists and this one has become an instant favorite as the smell isn't too overwhelming or powerful. It smells so sweet yet so floral and fresh all at the same time. I love floral and fruity fragrances which notes linger for hours. You don't need to spray more than five times to get completely drenched in this beautiful fragrance. As it is a body mist spray and not a perfume, it stays for much lesser time compared to EDT or EDP. But as it is, I always have it on my bag to touch up whenever I am on the go. What I love most about Althea Korea's Stay Fresh Body Sparkling mist is that it does not leave any stain on clothing unlike EDPs. It stays for a maximum of an hour when applied on body and a little longer when applied on garments. Overall, I really enjoyed using Althea Stay Fresh Body Sparkling Mist and would definitely recommend them to friends and buy another one as soon as I finish my first bottle. Interested? You can get 20% OFF + Free shipping by using the code TITISPECIAL. Titi Kamal x Althea's Stay Fresh Body Sparkling Mist is available in selected countries only. Sold at Php450 per bottle for 100mL, Althea x Titi Kamal Stay Fresh Body Sparkling Mist is such a good buy. Althea Korea Pore Purifying Serum Cleanser Review: Is it worth spending your money on? In a world filled with endless sponsored ads on your social media feeds as well as an ever expanding sea of online influencers and brand ambassadors, it can get pretty confusing to find a beauty product that actually does what it says and what you want it to do. So each time I find a product that I can consider a goldmine, such as Althea Korea's Pore Purifying Serum Cleanser. I got thrilled to use it. 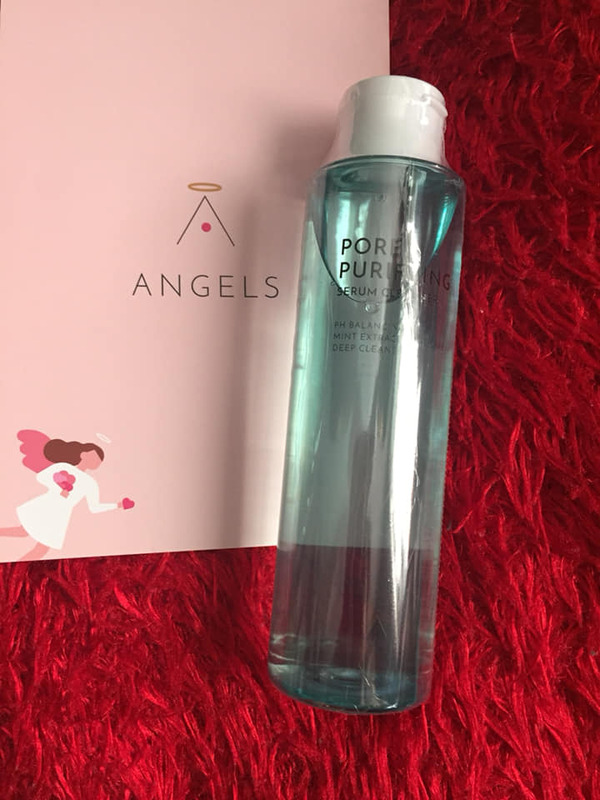 As an Althea Angel, I'm so grateful to be given the chance to review one of their latest products called Pore Purifying Serum Cleanser. While it may be true that there are lot of genuinely amazing beauty products out there. But then there's also a whole lot of beauty products that offers nothing but empty promises. And sadly, some of the shams are pretty expensive, yet it doesn't necessarily guarantee you a good result which could lead you to throwing money down the toilet. I have always been fascinated with all the textures and flavors of other Asian cuisines apart from our very own. It could be the bursts of flavors or the exercise on one’s palate, but the thought of indulging in Asian food truly excites me. I was recently invited to a launch called Chef Laudicos x Kitchen Mafia to sample and get the first dibs on what Chef Roland Laudico (of Chef Laudico Guevarra’s) and Malaysian celebrity chefs Sherson Lian and Johnny Fua (of Kitchen Mafia) collaborated on for Chef Lau's Guevarra's popular buffet restaurant in San Juan. The mere mention of Malaysian cuisine reminds me of a symphony of flavors making Malaysian cuisine highly complex and diverse because of its influences from Malay, Indian and Chinese. As I have known Malay food, they're strong, spicy and aromatic, combining the rich tastes of the many herbs and spices commonly found in Southeast Asia. Many of the fresh herbs and roots that are commonly grown in the Southeast Asian region have found their way into Malay cooking. Lemongrass, shallots, ginger, chilies and garlic are the main ingredients that are blended together and then sautéed to make a sambal sauce or chile paste, a condiment that often accompanies every meal of Malay food. 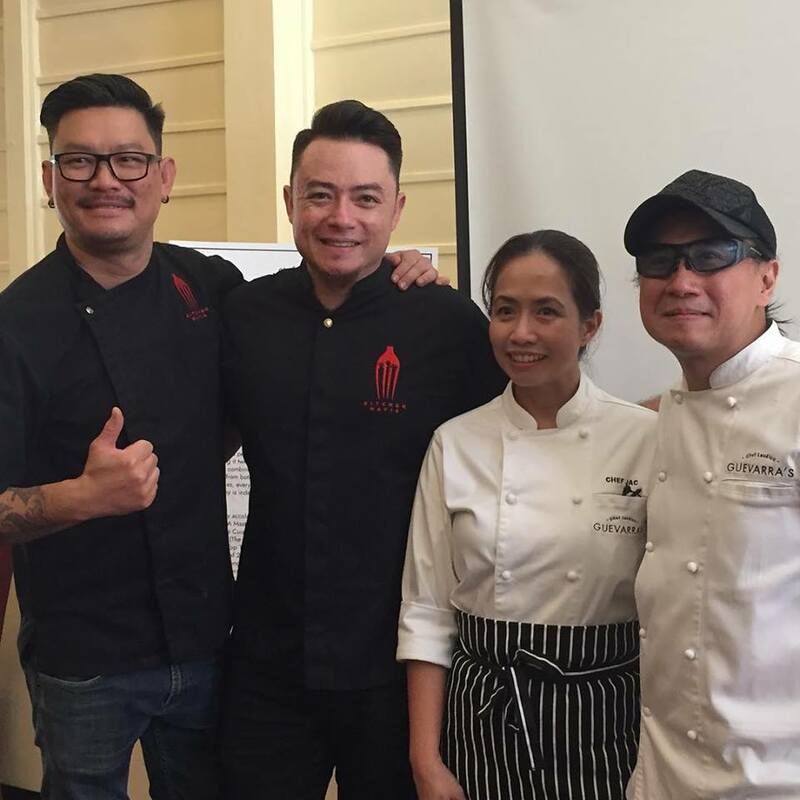 Chef Sherson and Chef Lau met on the set of Asian Food Channel’s Amazing Food Challenge: Fun in the Philippines back in 2014. 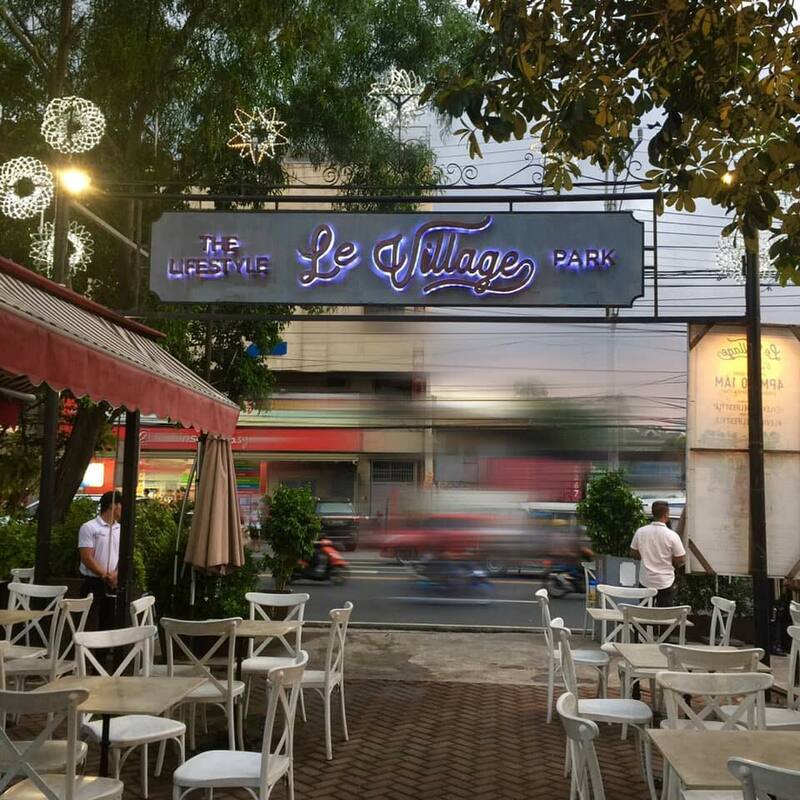 As they worked together, Chef Sherson has observed that both Filipino and Malaysian cuisine had a lot of similarities. “It might not exactly be the same thing but it functions almost similarly, the purpose of the ingredient is almost similar,” said Chef Sherson in an interview. This Christmas will surely be a season made of pure delight! 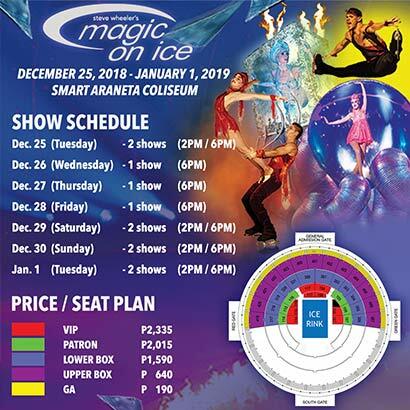 Smart Araneta Coliseum brings the world-renowned ice skating illusion spectacular show "Magic On Ice" to Manila. Christmas this year will not only be exciting but also a memorable one because from December 25, 2018 (yes, that would be exactly on Christmas Day) to January 1, 2019, this extravagant show will turn the Big Dome into one magical venue where Filipino kids and those kids-at-heart will gather to witness breathtaking stunts, grand illusions and the elegance and beauty of ice skating all under one roof. Conceptualized and created by Steve Wheeler, "Magic On Ice"boasts of a remarkable production design as well as one-of-a-kind performances for the entire family. The show is highly recommended to anyone who enjoys little enchantment. 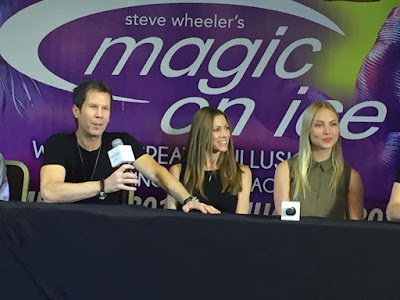 Steve Wheeler's Magic On Ice's creative team are from the same people that has brought you awesome past production shows such as "Le Reve," Cirque du Soleil's "Mystere"and Ö,"the 2006 Winter Olympics Opening Ceremony as well as certain concerts of singers Prince, Sting and Madonna. 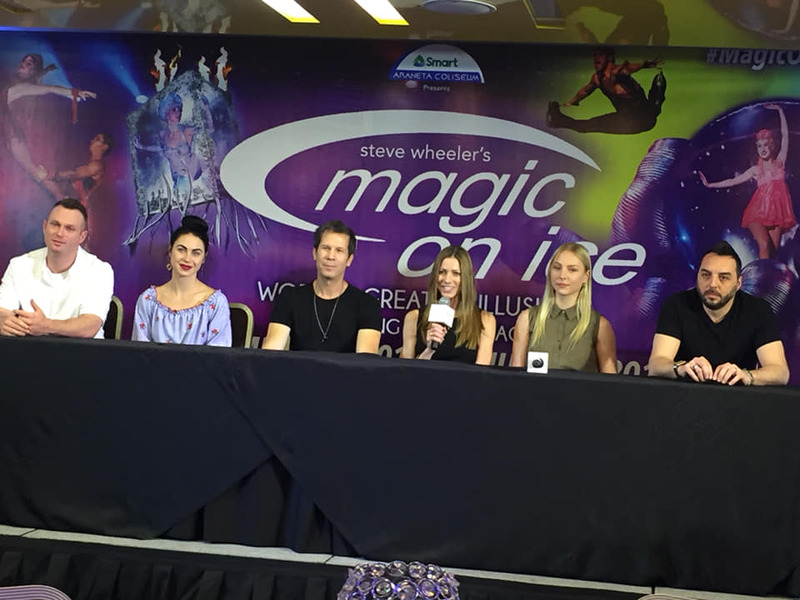 "Magic On Ice" has won the hearts of millions of audiences around the globe (across all ages) from different continents including the United States, the Middle East, and in most parts of Asia. The show has also toured and entertained audiences from over 200 cities around the world including key cities like Las Vegas, New York, Germany, Mexico, Korea and Abu Dhabi. Make sure your Christmas will be an unforgettable one for the entire family by watching this spectacular and spell-binding show, "Magic On Ice." 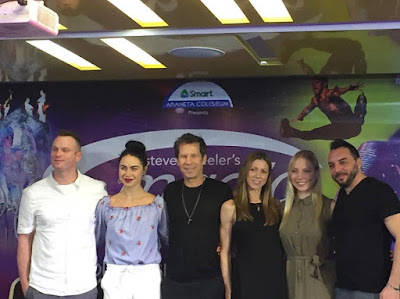 Expect astounding performances from the cast which includes former Olympian skating champions and other professional ice skaters. Be ready to be enthralled as the entire cast will be showing their dexterity involved in different tricks. Personally, I'd recommend this show for all ages. You'll be getting your money's worth, you'll be entertained and will be in awe on each performance. Tickets are also very reasonably priced. "Magic On Ice"is an experience of a lifetime you guys shouldn't miss. For as long as P190 (General Admission) to VIP seats at P2,335, get your tickets now via Ticketnet counters or www.ticketnet.com.ph. Call 911-5555 for more information. 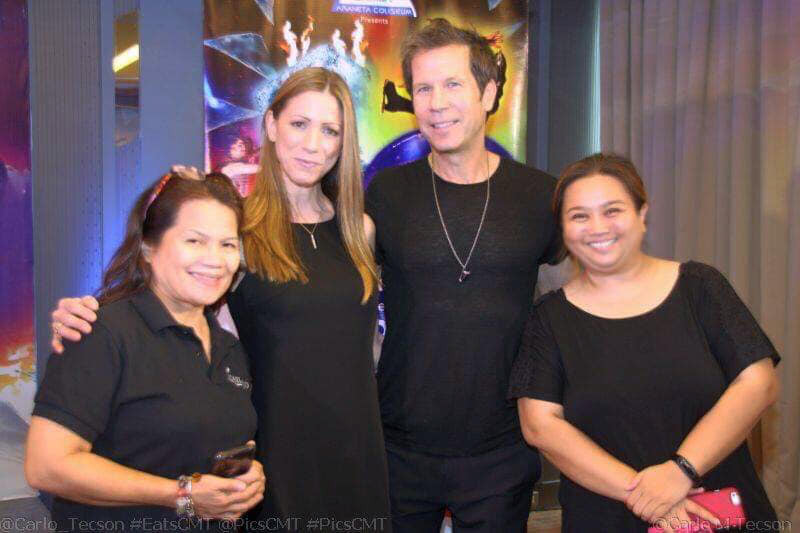 Here's a piece of good news for Mastercard Credit and Debit card holders: Mastercard Credit and Debit card holders can avail of 20% discount at all Ticketnet outlets and the box office at the yellow gate of the Smart Araneta Coliseum, Online ticket buyers at www.ticketnet.com.ph may use the promo code MCMOI2018 to avail of the discount. We were blessed to have that opportunity to meet Steve Wheeler himself so we asked our friend, Carlo to take our photo. When it comes new tech gadgets, you may think of cool and useful products that make life easier. Some of these new inventions are grabbing the attention of millions around the world, and 2018 has bought a bunch of trending products that are selling out fast this holiday season! And when you receive an invitation to drop by one of the most highly anticipated gadgets sale in town--Digital Walker's Madness Sale 2018--you could never say no. That's exactly what has happened to me last weekend. 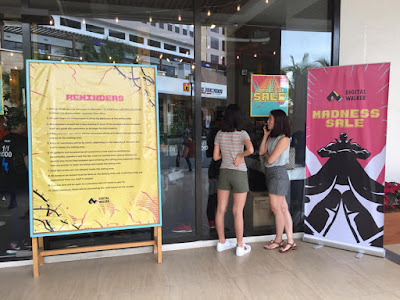 I had a date on the day the Digital Walker Madness Sale was made open to the public last Saturday, December 15, 2018, but since I didn't want to cancel out neither of those two, so I did the next best thing, I asked my date to move our bonding from morning to an afternoon meet up. I just couldn't pass up a Digital Walker's annual sale. Have a look at our list of the coolest, most innovative new gadgets of 2018. Many of them are products you’ve probably never heard of, but I'm sure they must have already sold millions worldwide! 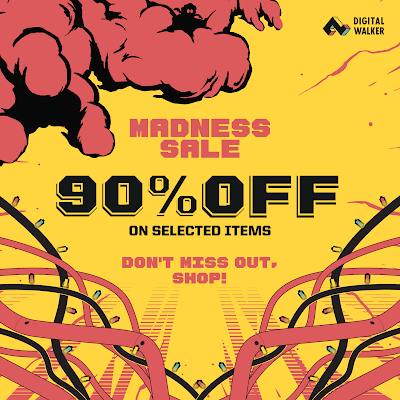 So if you’re looking for the perfect gift for someone, or just want something cool for yourself, checking out the Digital Walker Madness Sale will be a perfect idea. Not only can you score awesome huge discounts from different gadgets here, you can also get the chance to save money and buy that gadget you've been jonesing for (if they are still in stock, thru credit card monthly payment options! 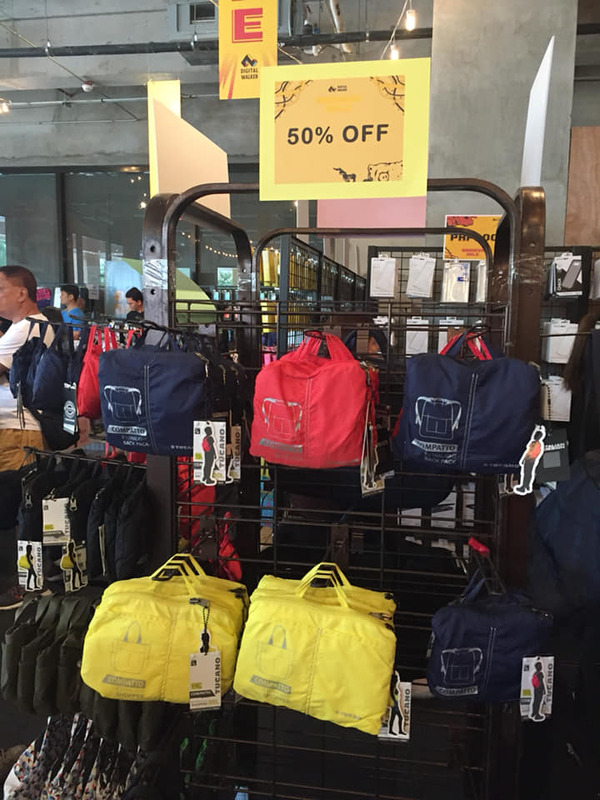 ), indeed, going here at Santolan Town Plaza for the Digital Walker sale is all worth it. Check out the items I got for a song or a steal price! 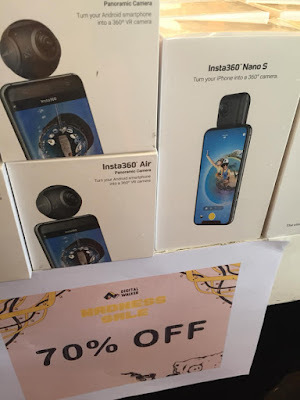 Insta360 Air goes for 70 % off! laptop as well as camera bags are also on sale! Left to right: Twinings Brand Ambassador of Southeast Asia, Charles Smith; Michael B. Fajardo, Country Manager of AB Food and Beverages Philippines; Second runner-up, DANICA MARIE NOLASCO - (A SPLASH OF LONDON) from UNIVERSITY OF STO. TOMAS – CFAD ADVERTISING; First-runner up, WARREN LADION (Crazy Love) – from UNIVERSITY OF STO. TOMAS ADVERTISING ARTS; Grand Prize winner, JAYVIC VALDEPENA (ORGANOLEPTIC TEA FANTASY) from FAR EASTERN UNIVERSITY OF THE PHILIPPINES, and Twinings Philippines Brand Manager, Rose Gulapa. 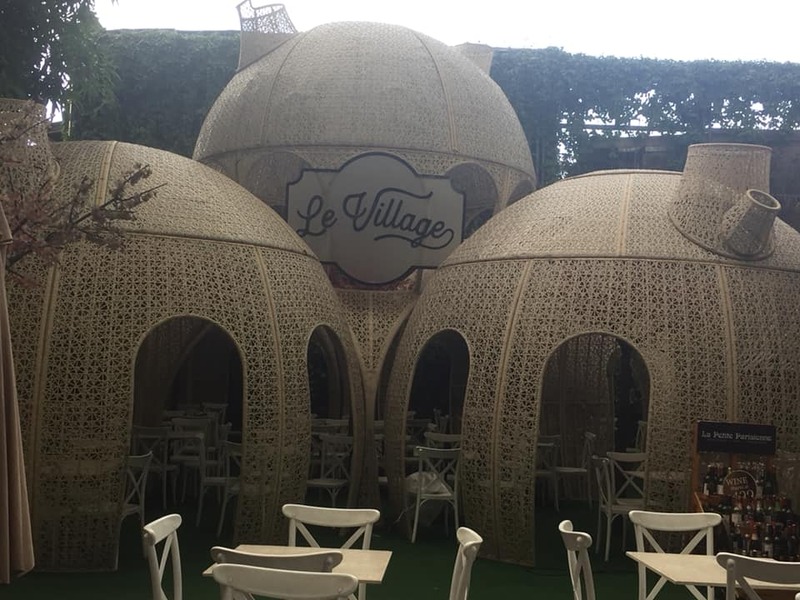 The goal to reach out to the younger generation and introduce them to the world of Twinings Tea in a different approach – with the London “Cool Luxe” theme, via a Design competition proved very effective. “Cool Luxe,” is a term coined to define the up and coming Londoner who aspires for the finer things in life but with a modern, sophisticated and individualistic style to showcase to the world. With this campaign, Twinings Philippines was able to connect with the younger segment. 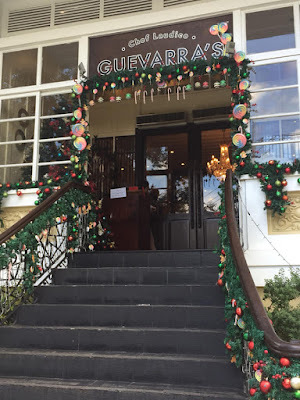 All the winning enries ( the top 5; top vote; runners up and the grand prize) are not only being featured in Twinings SOCIAL MEDIA pages such as, INSTAGRAM@twiningsph; FB@twiningsphilippines and the official contest website https://twiningsdesign.com, their designs will also have the chance to be used in the next Twinings premium gift items in the coming months. Left to right: Twinings Brand Ambassador of Southeast Asia, Charles Smith; Michael B. Fajardo, Country Manager of AB Food and Beverages Philippines, FEU Staff of Student Development representative, Ian Margarette Maclang; Grand Prize Winner, JAYVIC VALDEPENA (ORGANOLEPTIC TEA FANTASY) from FAR EASTERN UNIVERSITY OF THE PHILIPPINES, and TwiningsBrand Manager, Ms. Rose Gulapa. I have a dependent relationship with my lip balm. I never leave the house without it as my lips are prone to dryness and windburn. When I forget to take it with me, I fret, I panic. I can no longer concentrate on what the person I'm with is saying, so distracted am I by dry, desperately seeking lips. For my lip balm needs I am partial to Gemz Lip Balm, simply because it's 95 percent organic and made from natural ingredients. 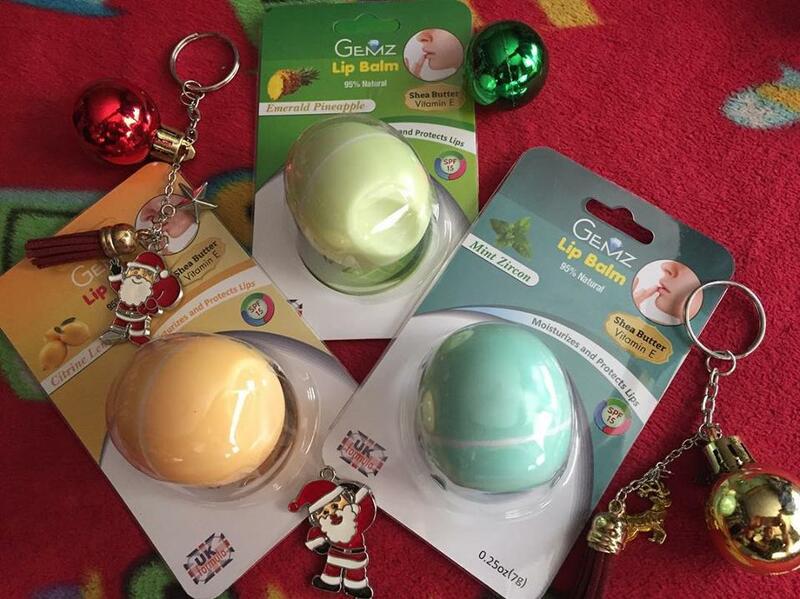 Packed with antioxidant-rich vitamin E, soothing shea butter and jojoba oil, Gemz lip balm keeps your lips moist, soft and sensationally smooth. 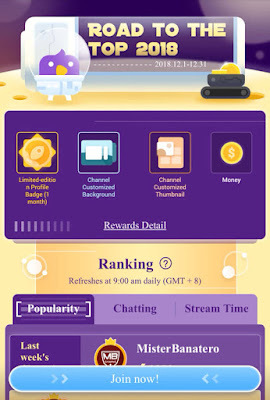 Popular Live Streaming app Nimo TV recently announced an exciting promo for its game streamers this December entitled Road to the Top 2018. As one of the leading video game streaming platform, Nimo TV’s Road to the Top 2018 is a way of rewarding its streamers with the support they gave since its launch in the Philippines. “They play a big role in achieving our goal of making an interactive community” Amy Cao, Global Marketing/PR Head Nimo TV. “They share and foster a positive culture that entertains our audience, and this is our way of acknowledging their efforts in helping us succeed,“ Cao added. The promo is open to all active streamers and winners will be recognized based on three categories: Popularity, Chatting and Stream Time. The first category is Popularity; this category is base on the total number of new users gained by streamers during the promo period. Streamers should keep on sharing their channel to gain new subscribers. The second category is Chatting; this is base on the number of comments made by the streamers to their channel. And since Nimo TV values conversation, streamers should reply to the comments made by their viewers. Lastly the Stream Time category, this category is base on the duration a streamer made during the promo period. 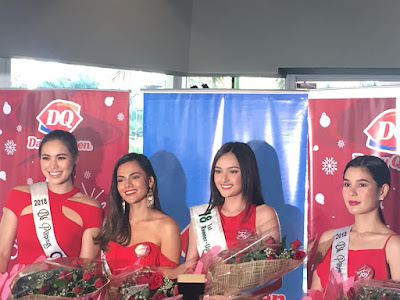 The Nimo TV Road to the Top 2018 will run until December 31, 2018. Nimo TV is a leading global platform that allows millions of gamers from all around the world to play and broadcast their games to other like-minded players building a community of players, gamers, and fans that drive conversation, and allows peer-to-peer rewards and recognition. Utilizing a high-quality interactive technology, audiences can interact with streamers, and gain access to exclusive e-sports events and tournaments, along with unprecedented access to the top streamers from across the region. 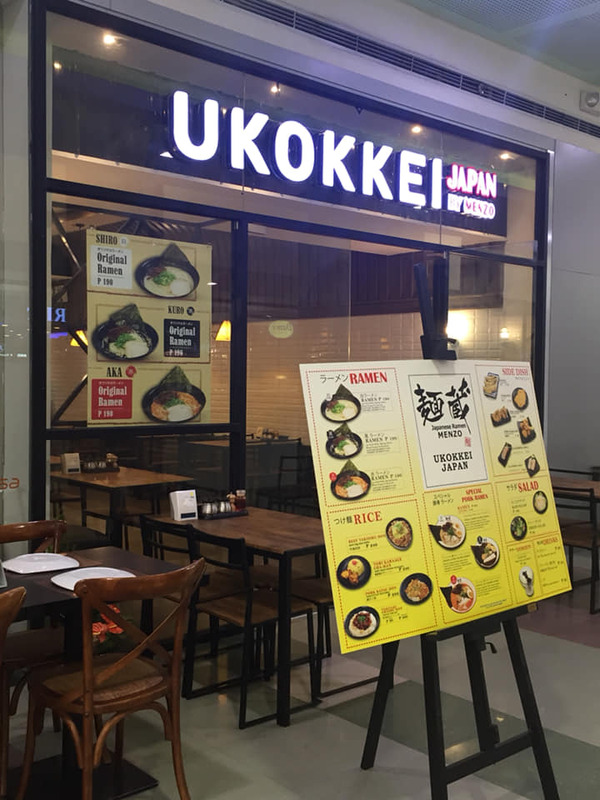 Grilling is enormously popular in Korean cuisine and these days, wherever you look in the metro, you'd seem to find a Korean Samgyupsal restaurant. I’m sure many of you have been to a smoke-filled Korean restaurant where you grill your meat at the table. Most of the Korean samgyupsal restaurants nowadays would usually use a portable gas grill or electric grill to cook at the table because it is more convenient. My friend Rence recently invited me to try another samgyupsal restaurant called Samgyupsal King Unlimited Korean Barbecue, one of the tenants inside a French inspired posh-looking food park with a cool vibe along E. Rodriguez Sr. near Cordillera Street in Quezon City called Le Village Food Park. As a fan of Korean cuisine, I was excited to give this samgyupsal restaurant a try. Since the food park opens at 4PM, I decided to come early since I'm not that familiar with the place and it was my first time to visit. Why is it important to have a Car Insurance in the Philippines? Every thing that we worked hard for is important to us. Your car is also an important investment because it brings you to places you must go to. Therefore, you need to take all measure possible to preserve it for as long as possible. I'm pretty sure that before making that car purchase, you must've made some research about it and I'm sure that the word car insurance has also crossed your mind prior to making that purchase. If you are still unsure about car insurance even after buying your new car then allow me to enlighten you about the many benefits of having car insurance. You can take insurance anytime after buying your car but we do recommend taking one immediately just after you have got your first car. It is very important for you to get one as soon as possible. Sometimes no matter how much you drive safely and carefully, we all know that discipline on the road is one of the major problems in the Philippines right? So it is really practical to get a car insurance in the Philippines. We never know if and when we meet an accident. It happens even to the best of people, regardless of gender, status in life and age. One trusted car insurance that also includes protection from natural calamities (acts of God i.e. earthquake, floods etc.) is the extensive car insurance policy from Malayan Automaster from Malayan Insurance Company. It gives protection from theft, automobile damages and like I've said, acts of God, giving you peace of mind and worry-free travels. Car accidents are unpredictable and it can happen with anyone. You can never be too sure such an event won’t happen to you ever and therefore it is always better to be prepared for the worse. As they say, it's best to be safe than feel sorry later on with much regrets. Imagine if your newly purchased car suffers any damage during a car accident, the car insurance can actually help you fix your car sans much hassle. For one, it won't burn a hole into your pocket. It doesn't matter how major or minor the accident is car insurance will definitely provide you a substantial financial leverage to make sure your damaged car will look as good as new. Car insurance will be helping you if you're involved or responsible for any car accident and might have caused any significant damage to a second or third part involved. Your car insurance will be paying for the additional costs like medical bills in case there's an injured person, the money for damaging someone else's property among many others. It also saves you from a personal lawsuit that could have caused you more financially speaking. The extend up to which your car insurance can help you will depend on a variety of factors like the extent of damage caused by you or if there's any loss of life. But one thing's for sure, having a car insurance will be a great help than not having one at all. 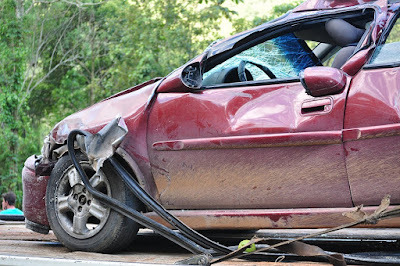 Car insurance can help you if your car has damaged someone's property, covers the medical bills of the people involved in the accident and helps you in a personal injury case. It doesn't matter if you're the one responsible or the affected party, car insurance will help if you are injured physically. This is one of the biggest advantages of having car insurance as we all know the skyrocket amount that medical bills can reach especially in private hospitals. These were just the three reasons why it is is important to have a car insurance and how getting one can help you in unimaginable ways. 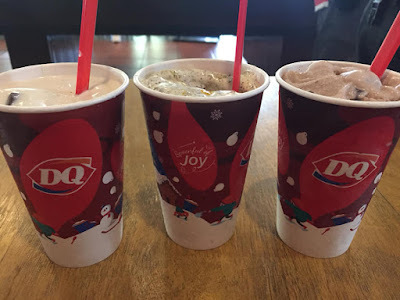 Dairy Queen makes sure that the holiday season becomes sweeter than ever as it launches new exciting Blizzard flavors by introducing Hershey’s Kisses with Almonds Blizzard. It comes in three awesome flavors to choose from: Hershey’s Kisses Mango Cookie—a concoction of classic Hershey’s Milk Chocolate covering a crunchy almond blended with creamy rich signature DQ vanilla soft serve, Oreo cookies and mango toppings. Hershey’s Kisses Cookie Buttercrisp—a blend of classic Hershey’s Milk Chocolate with crunchy almond and creamy signature DQ vanilla soft serve, waffle cone and cookie butter fudge. And my ultimate favorite among the three (sorry, I’m partial), Hershey’s Almonds Double Cocoa. I’m not really a fan of chocolate but this one reminds me so much of my childhood. Every spoonful brings me back to the times when life was much simpler then. 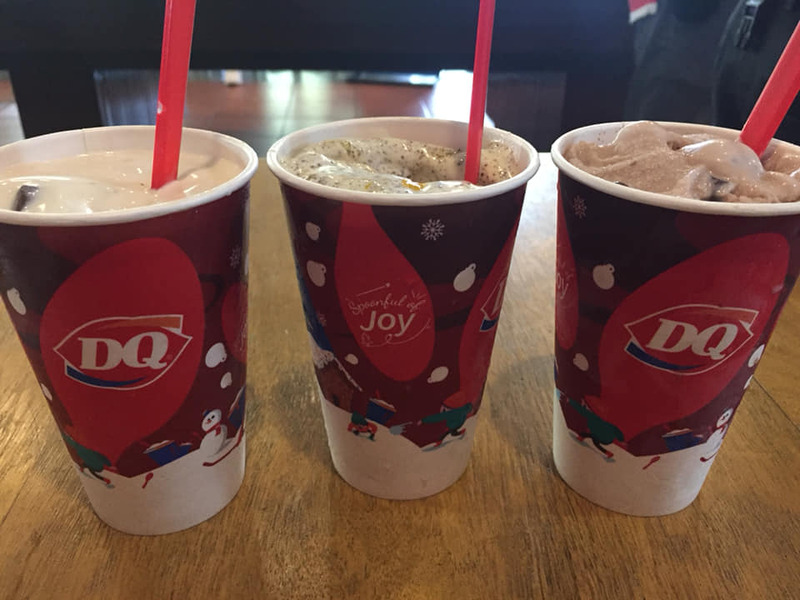 It’s Hershey’s Milk Chocolate covered crunchy almond blended with DQ signature vanilla soft serve and cocoa fudge. This is perfect for all chocolate lovers out there! 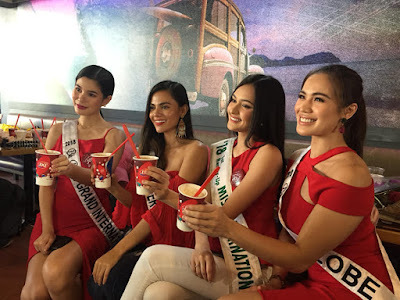 Binibining Pilipinas beauty queens gives their DQ Blizzard a thumbs-up! 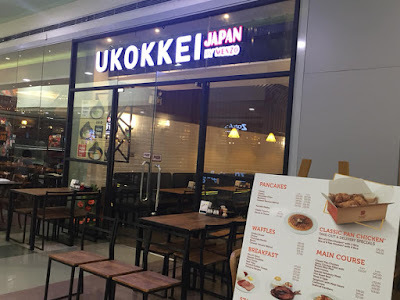 Ukokkei by Menzo, a Japanese ramen chain officially opens today, December 7, 2018 at the Main Building of SM North Edsa in Bago Bantay, Quezon City. Ukokkei by Menzo makes one kind of soup, the opaque ivory pork broth called tonkotsu that's been simmered for 16 hours! 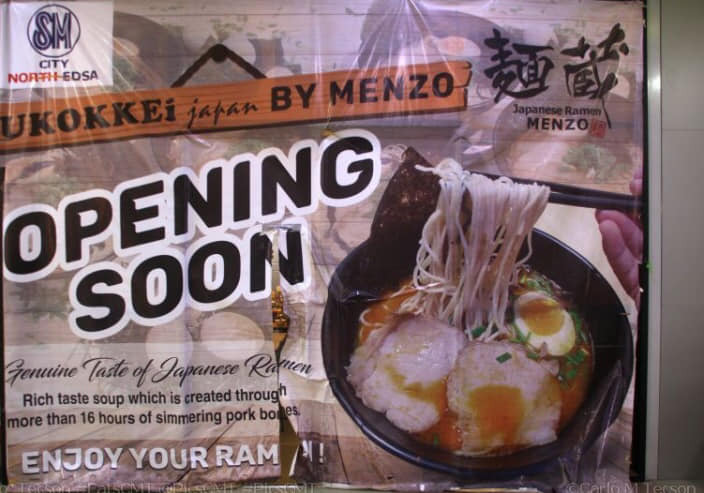 It seems that ramen is THE THING in the country right now. We found Ukokkei Japan by Menzo to be very good--we've got the first dibs on this newest restaurant to hit SM North. 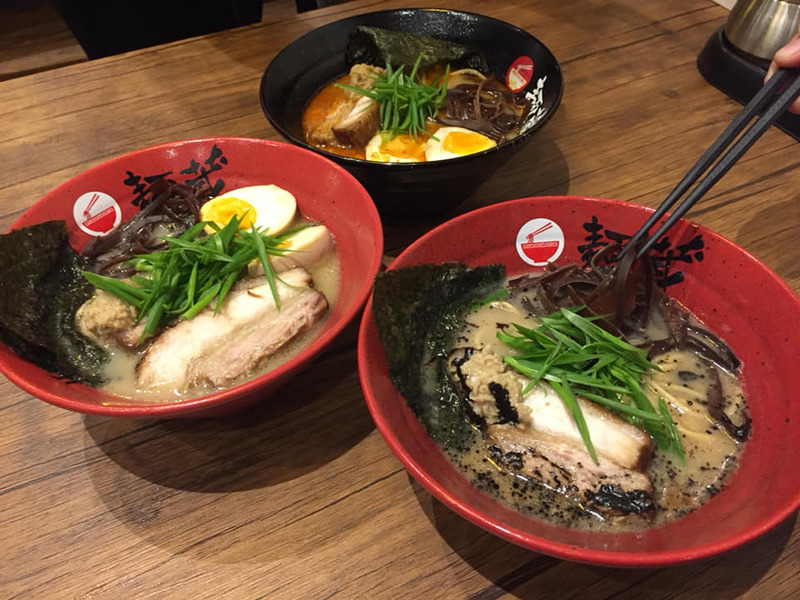 They have a large selection of ramen soups with rich broths from spicy to succulent. Appetizers were also very good. A great place to go on dates, family bonding and friendly meetings. 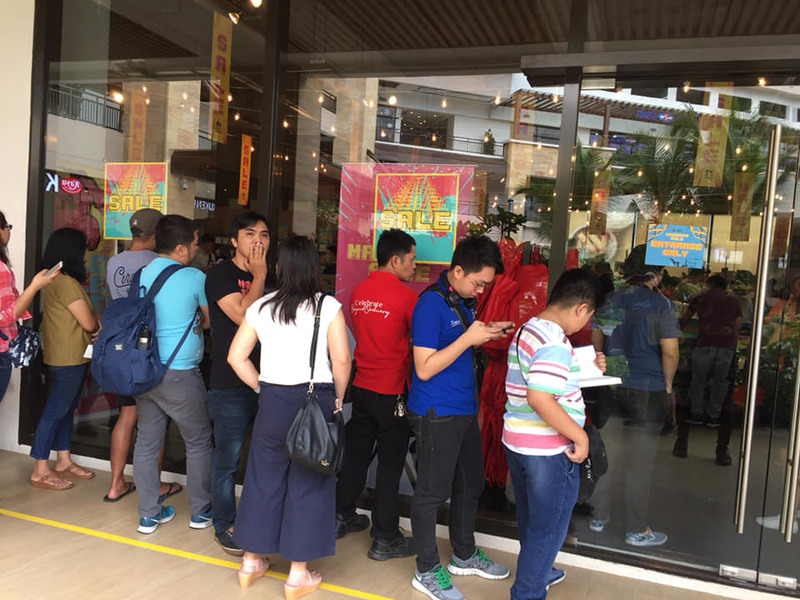 In their SM Megamall branch, they seem to have created quite a cult following because there's always a line of people waiting, always a good indication that the food is worth waiting for. The best part? Prices were reasonable too, not to mention very affordable when compared to other restaurants that also feature ramen as their specialty. Imagine getting yourself a bowl of comfort food for a steal price? What more can you ask for? Being burglarized or experiencing a home invasion can be a life-shattering experience that affects everyone in the household. We have families and homes to protect, and we’re careful with our belongings. That’s why I’m happy to share with you about MiGuard, a state-of-the-art home and small office security and safety alarm system. I was invited to attend MiGuard's launch in Marikina City recently. And I was able to discover how effective and affordable it is to keep our homes safe. As they say, "you can't buy your peace of mind." But I guess with the help of MiGuard, we can afford not to worry so much. 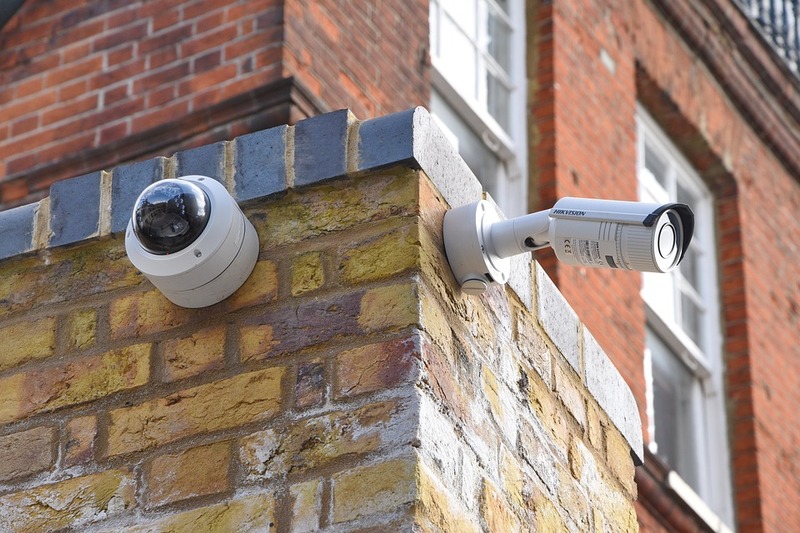 Unfortunately, burglaries are not the only things that pose danger to a home. Properties are also subject to fires. More often than not, they are caused by cooking or plain neglect and lack of responsibility. Taking active measures to keep your home safe from fires is important, as is having emergency contact(s) available in the event something unfortunate occurs.